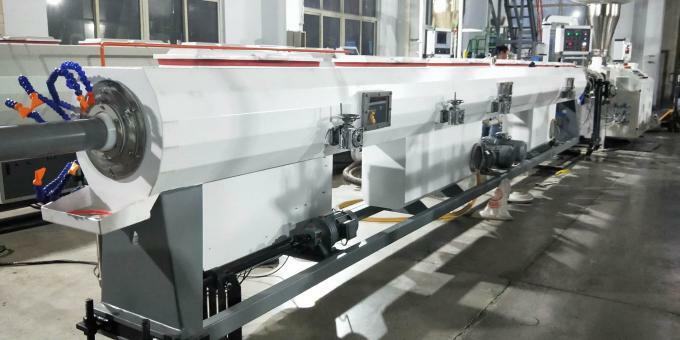 PVC electrical conduit pipe extrusion line is used to produce pvc electric conduit pipe with diamater from 16 to 63mm, which are flexible, bendable in the aspect of electric wire protecting. 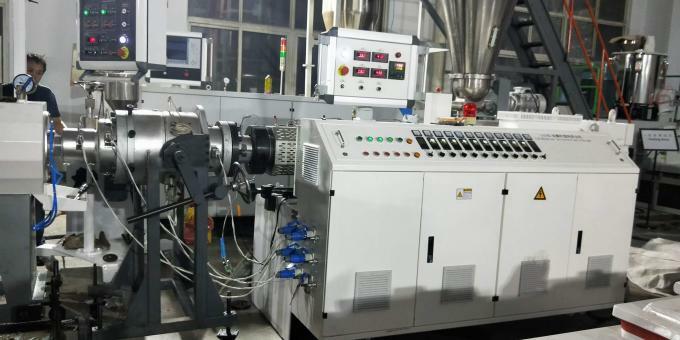 Diameter: Friend machinery succeed in designing and producing the biggest conical twin-screw extruder in the world. 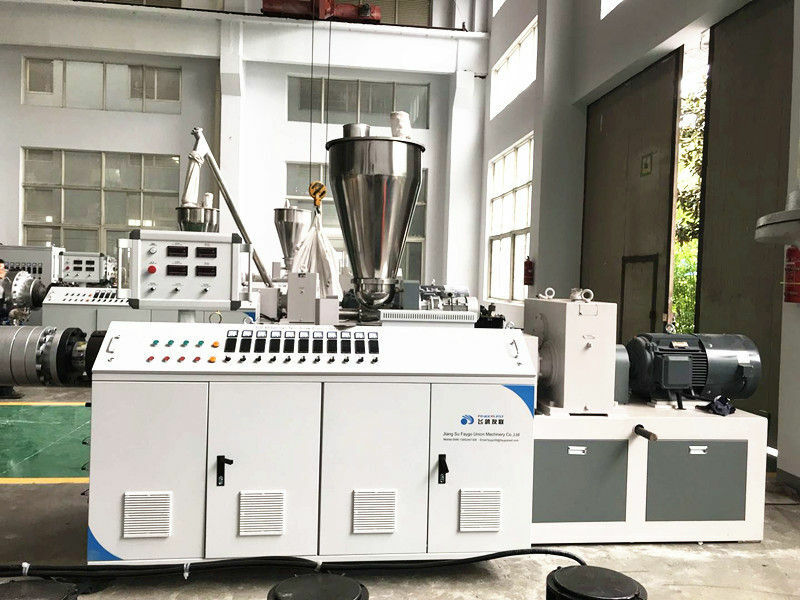 Auxiliary machine closely meet customer specifications. Nice apperance, automatic control and stable running performance. 1.The extruder and haul-off adopt imported AC frequency control device, vacuum pump and haul-off motors adopt high-quality brand. 2.The haul-off methods are two-claw, three-claw, four-claw, six-claw, eight-claw etc. 3.You may choose saw cutting type or planetary cutting type. It is additionally attached with the length counter and intensifying device. 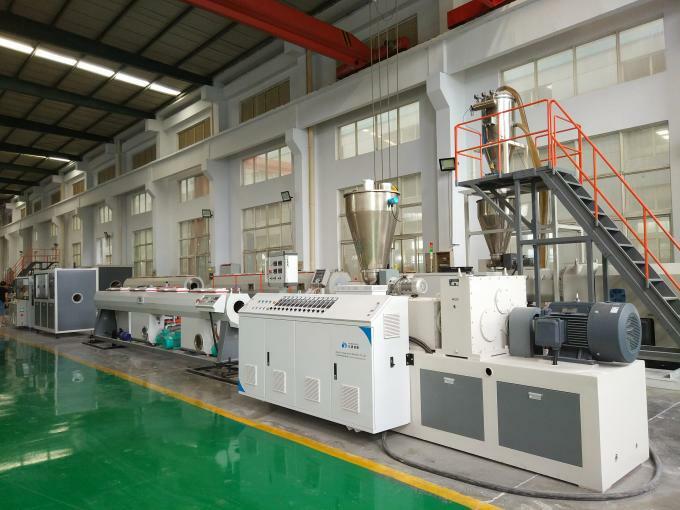 4.The equipment is with the reliable performance and high production efficiency.